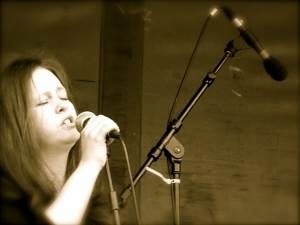 Pauline Alexander is an extraordinary Scottish singer from the east end of Glasgow. 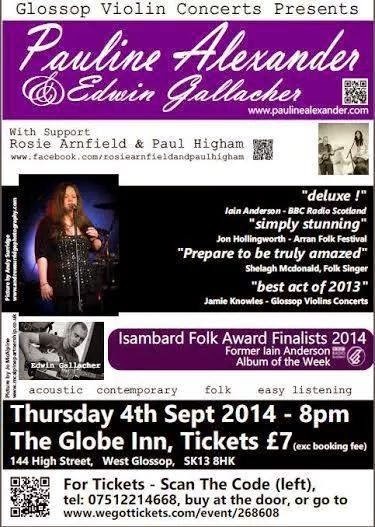 Performing as part of a two-piece, Pauline normally works with Edwin Gallacher on guitar to give an intimate sound that gives centre stage to her vocals. Together they perform a fine blend of original material and interpretation of song encompassing folk, easy listening and contemporary. 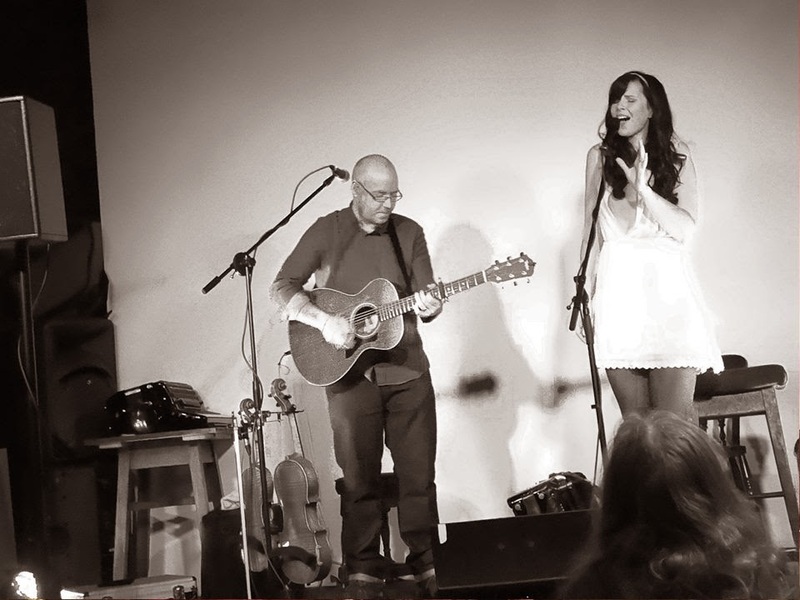 Support act Rosie Arnfield and Paul Higham are a musical duo from Hadfield in Glossop, Derbyshire, who perform an eclectic mix of contemporary acoustic songs.